Feed Your Face – Foods That Are Good For Your Skin. While many beauty products exist that help you have youthful, beautiful skin, one of the best ways to achieve that healthy glow can be found in the aisles of your nearest supermarket. Certain superfoods give your skin just what it needs for an inner healthy glow no matter what your biological age. Incorporating even a few of these foods into your diet can provide great benefits. Did you grow up hearing that chocolate causes acne? This isn’t always true, especially when the chocolate is dark. Cocoa actually hydrates your skin and provides powerful antioxidants. Chocolate that is at least 70 percent cacao is the most beneficial. Yogurt: Want to help prevent wrinkles? Eat a cup of yogurt every day. The protein it contains helps skin remain firm and more resistant to deep-set lines. Greek yogurt is especially beneficial since it has twice the protein content of other yogurts. Pomegranate: If your skin is a bit too pale for your liking, adding pomegranates to your diet will give it that rosy glow. High in antioxidants, pomegranates also have strong moisturizing properties, as well as being a natural sun protectant. Green and yellow peppers: Crow’s feet are those pesky lines around your eyes that announce to the world you’re getting older. Fortunately, eating a diet high in green and yellow peppers prevents and reduces crow’s feet in addition to decreasing how sensitive your skin is to the sun. Kidney beans: Although acne can continue well into the adult years, you can fight it off by regularly incorporating kidney beans into your diet. This food contains zinc, a vitamin that has been proven to reduce or eliminate blemishes. Soy: This superfood reduces the hyperpigmentation that causes uneven skin tones. If you have patches of skin that look different than the rest, add soy to your latte or indulge in edamame containing soy. Bonus: Soy can also help prevent sunspots. Green tea: Drinking green tea helps reduce rosacea and other skin conditions that cause redness. You want a rosy glow, not splotchy red skin. Drinking one cup of green tea each day can keep the redness away as well as fight inflammation. Rule of thumb: To make sure you’re getting all the vitamins, minerals and antioxidants that your skin (and body!) needs, be sure to aim for a colorful plate of food. Take Care of the Inside – We’ll Take Care of the Outside. Even when you eat a healthy diet, your skin still may not look as good as you would like. If that’s the case, there are some facial aesthetics procedures that you can incorporate into your skin improvement routine. Injectables and dermal fillers are a quick way to reduce wrinkles and other signs of aging from the face. You may also want to consider skin brightening, resurfacing, or tightening. 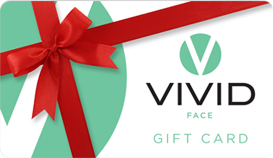 If you’d like to know more about these skin treatments or others we offer at Vivid Face, just click here to schedule a free consultation.